Apple could be looking to play the waiting card until Intel gets its 5G modem ready, which implies Qualcomm is being given the slip. 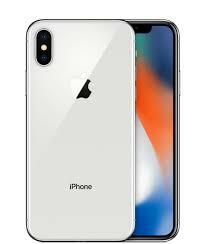 We might not be seeing a 5G enabled iPhone in 2019 although Apple is already testing the technology. 5G New Radio (NR) is the next evolution of mobile communication and the industry has already started to prepare itself to upgrade to the latest standard. Qualcomm has been optimistic of seeing 5G devices rolling off the shelves in 2019. Several US networks such as Sprint and Verizon have already started testing 5G networks in hopes of a wider rollout next year. All said and done, it looks like Apple will not be embracing the new standard in the first wave and will likely wait for the technology to mature. Fudzilla did some investigation as to what Apple's plans could be and has come to the conclusion that Apple is unlikely to ready a 5G capable iPhone by 2019. This is being mainly attributed to two reasons — one being that most markets are not yet ready for a transition to 5G and the other more important reason being Intel is not expected to have its XMM 8000 5G NR modem ready for mass deployment before Qualcomm's Snapdragon X50. With the first wave of 5G NR networks expected to be ready in 2019 in the US and Korea, Samsung (and probably LG) could be the first to have their phones equipped with 5G modems. 5G NR is expected to have pan-global rollout in 2020-21 and this is the timeframe Apple is looking to equip its smartphones with the new standard. Apple would not be keen on sourcing 5G modems from Qualcomm given the ongoing legal tussle and Intel right now looks to be the best bet for the company, although, Huawei is also in the race to build 5G chips. This is not to say that 5G isn't in Apple's purview right now. The Cupertino giant is actively testing 5G NR and is even recruiting new manpower for the same. It is also a part of the Next Generation Mobile Networks (NGMN) alliance and owns several patents on the 5G NR standard. Similar to how it adopted facial recognition and OLED technology, Apple would wait and watch the technology to mature further before incorporating it into consumer devices such as the iPhone.